They always convey big bones and developed muscles, never excess weight and fatty accumulations. • Both female and male large Indian civets give solid impressions even though males are noticeably heavier, longer and wider. Both genders look grounded in their native East, South and Southeast Asian homelands even though females and males manage impressive arboreal feats of super-agile ascents and descents in avoiding competitors, cornering prey, and eluding predators. • Females and males in fact move gracefully, quickly, and soundlessly through forested, grassy, scrubby, shrubby, vegetated, wooded habitats. Weights of 7.50 – 20.28 pounds (3.4 – 9.2 kilograms). Females occupy the lower ranges and males the higher. The stink-bombs from large Indian civet glands. But at the same time, the colors and their designs historically contribute to the survival and sustainability of large Indian civet populations. 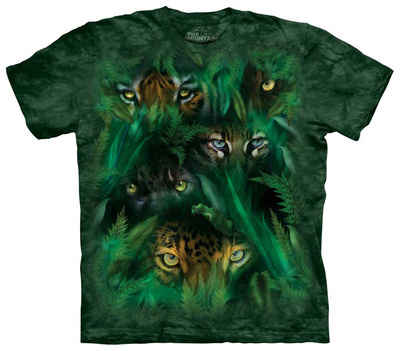 They in fact function as super-smart camouflage in forested, vegetated, wooded habitats. It is not surprising to interpret grey as ultra-clever camouflage suggestive of a woody plant’s bark-covered branches, stems, and trunks. It may be unexpected to conclude likewise about bands, rings, and stripes. Herbaceous and woody plant movements during breezes, downpours, and floods. Dieting on crabs, eggs, fruits, insects, roots, scorpions, and small amphibians, birds, fish, mammals, and reptiles. V.z. tainguensis (Vladimir Evgenievich Sokolov [February 1, 1928 – April 19, 1998], Viatcheslav V. Rozhnov, Pham Trong Anh, 1997): Vietnam. But their conservation status is near-threatened. Haa District contains Torsa Strict Nature Reserve, a protected area with no resident human population. Conclusion: A hope and a future for near-threatened Large Indian Civets -- speedy-pawed savvy disguisers and escape artists -- in 21st century challenges to survival? Fragrant musk distilled into upscale perfumes. Large Indian Civets' new marine homelands: Viverra zibetha's introduction into the Andaman Island Archipelago in the Bay of Bengal was driven by demands of the perfume industry. Bisby, F.A. ; Roskov, Y.R. ; Orrell, T.M. ; Nicolson, D.; Paglinawan, L.E. ; Bailly, N.; Kirk, P.M.; Bourgoin, T.; Baillargeon, G.; and Ouvrard, D. (red.). 2011. "Viverra zibetha (Linnaeus, 1758)." Species 2000 & ITIS Catalogue of Life: 2011 Annual Checklist. Reading, UK. Retrieved August 5, 2014. Blanford, W.T. (William Thomas). 1888 - 1891. The Fauna of British India, Including Ceylon and Burma: Mammalia. London: Taylor & Francis; Calcutta: Thacker, Spink, & Co.; Bombay: Thacker & Co., Limited; Berlin: R. Friedländer & Sohn. Boudet, Ch. 10 January 2009. "Species Sheet: Large Indian Civet, Large Civet-cat." Mammals' Planet: Vs n°4, 04/2010. Retrieved August 5, 2014. Boudet, Ch. 10 January 2009. "Subspecies Sheet: Foochow Civet." Mammals' Planet: Vs n°4, 04/2010. Retrieved August 5, 2014. Boudet, Ch. 10 January 2009. "Subspecies Sheet: Chinese Large Civet." Mammals' Planet: Vs n°4, 04/2010. Retrieved August 5, 2014. Boudet, Ch. 10 January 2009. "Subspecies Sheet [Viverra zibetha filchneri]." Mammals' Planet: Vs n°4, 04/2010. Retrieved August 5, 2014. Boudet, Ch. 10 January 2009. "Subspecies Sheet: Hainan Large Civet." Mammals' Planet: Vs n°4, 04/2010. Retrieved August 5, 2014. Boudet, Ch. 10 January 2009. "Subspecies Sheet [Viverra zibetha melanura]." Mammals' Planet: Vs n°4, 04/2010. Retrieved August 5, 2014. Boudet, Ch. 10 January 2009. "Subspecies Sheet [Viverra zibetha orientalis]." Mammals' Planet: Vs n°4, 04/2010. Retrieved August 5, 2014. Boudet, Ch. 10 January 2009. "Subspecies Sheet: Large Painted Civet." Mammals' Planet: Vs n°4, 04/2010. Retrieved August 5, 2014. Boudet, Ch. 10 January 2009. "Subspecies Sheet: Myanmar Large Civet." Mammals' Planet: Vs n°4, 04/2010. Retrieved August 5, 2014. Boudet, Ch. 10 January 2009. "Subspecies Sheet: Thailand Large Civet." Mammals' Planet: Vs n°4, 04/2010. Retrieved August 5, 2014. Boudet, Ch. 10 January 2009. "Subspecies Sheet: Viet Nam Large Civet." Mammals' Planet: Vs n°4, 04/2010. Retrieved August 5, 2014. Boudet, Ch. 10 January 2009. "Subspecies Sheet [Viverra zibetha undulata]." Mammals' Planet: Vs n°4, 04/2010. Retrieved August 5, 2014. Boudet, Ch. 10 January 2009. "Subspecies Sheet: North Indian Large Civet." Mammals' Planet: Vs n°4, 04/2010. Retrieved August 5, 2014. Carruthers, Liza. "Large Indian Civet." The Animal Files: Mammals > Carnivores. Retrieved August 5, 2014. “Civets.” An Eye in the Forest: The Fragile Existence of Lao Wildlife. Wildlife Conservation Society. Retrieved August 5, 2014. Duckworth, J.W. ; Wozencraft, C.; Wang Yin-xiang; Kanchanasaka, B.; and Long, B. 2008. "Viverra zibetha." In: IUCN 2014. International Union for Conservation of Nature and Natural Resources Red List of Threatened Species. Version 2014.1. Retrieved August 5, 2014. Gray, John Edward. 1833 - 1834. Illustrations of Indian Zoology; Chiefly Selected from the Collection of Major-General Hardwicke. Vol. II. London: Adolphus Richter and Co. and Parbury, Allen and Co., MDCCCXXXIII - MDCCCXXXIV. Gray, J.E. (John Edward). 1832. "On the Family of Viverridae and its Generic Sub-divisions, with an Enumeration of the Species of Several New Ones." Proceedings of the Committee of Science and Correspondence of the Zoological Society of London 1832(2):63-68. Jackson, Adria. 2000. 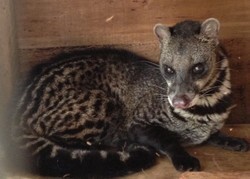 "Viverra zibetha: Large Indian Civet (On-line)." Animal Diversity Web. University of Michigan Museum of Zoology. Retrieved August 5, 2014. “Large Indian Civet Pictures and Facts.” The Website of Everything: Animals > Mammals > Carnivora > Viverridae > Paradoxurinae > Arctogalidia. Retrieved August 5, 2014. "Large Indian Civet (Viverra zibetha)." ARKive: Species > Mammals. Retrieved August 5, 2014. Larivière, Serge. 2004. "Indian Civet Viverra zibetha English: Large Indian Civet Spanish: Civeta hindú grande." P. 345 in Grzimek's Animal Life Encyclopedia, Second Edition. Volume 14: Mammals III, edited by Michael Hutchins, Devra G. Kleiman, Valerius Geist, and Melissa C. McDade. Farmington Hills, MI: Gale Group, Inc., division of Thomson Learning Inc. Lever, Christopher. 1985. Naturalized Mammals of the World. London and New York: Longman. Lorenz, Konrad; and Leyhausen, Paul. 1985. Biología del Comportamiento: Raíces Instintivas de la Agresión, el Miedo y la Libertad. Siglo Veintiuno Editores. Lynam, A. J.; Maung, M.; Po, S. H. T.; and Duckworth, J. W. 2005. "Recent Records of Large-spotted Civet Viverra megaspila from Thailand and Myanmar." Small Carnivore Conservation 32:8-11. Miles, A.E.W. ; and Grigson, Caroline (eds.). 1990. Colyer's Variations and Diseases of the Teeth of Animals. Cambridge University Press. Rakruenreang, Prapoj. 5 June 2012. “Large Indian Civet.” World News. Retrieved August 5, 2014. Schreber, Johann Christian Daniel von. 1774 - 1846. Die Säugthiere in Abbildungen nach der Natur: Plates 81 - 165. Erlangen :Expedition des Schreber'schen säugthier- und des Esper'schen Schmetterlingswerkes. Schubert, Gotthilf Heinrich von. 1870. Naturgeschichte des Thier-, Pflanzen-, und Mineralreichs, in Colorirten Bildern nebst erläuterndem Text. Erste Abtheilung, Naturgeschichte des Thierreichs in drei theilen. I: Säugethiere. Esslingen :J.F. Schreiber. Smith, Andrew T.; Xie, Yan; Hoffmann, Robert S.; Lunde, Darrin; MacKinnon, John; Wilson, Don E.; Wozencraft, W. Chris. (eds.). 2 March 2008. A Guide to the Mammals of China. Princeton University Press. Large Indian Civets' native landscape: Bagan, an ancient city in central Myanmar's Mandalay Region, resplendent with over 2200 pagodas and temples dating from 9th - 13th centuries. Jungle travelers may never know that they are being quietly watched by "invisible" jungle dwellers, such as Large Indian Civets. 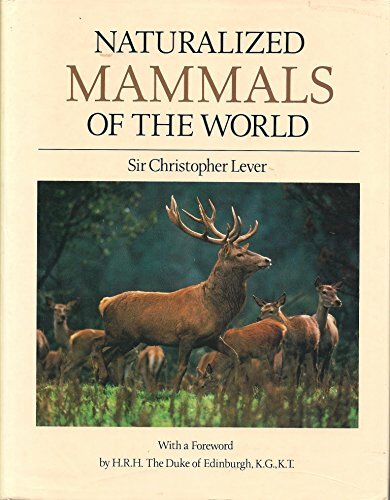 Sir Christopher Lever is an expert on the world's naturalised vertebrate animals. Civets distinguish themselves in climbing events. Otters excel at swimming. Otter civets navigate trees like civets and water like otters.